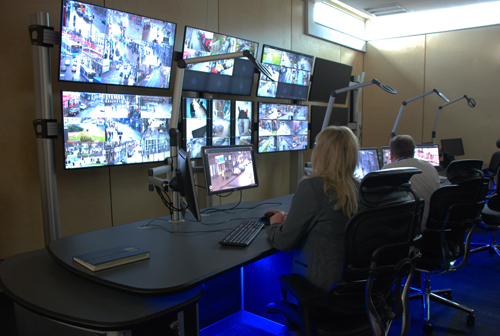 Boston Networks has delivered an integrated control room and IP CCTV surveillance solution for the new Renfrewshire Council Community Safety Partnership Hub. The new £1.3m facility, built on the former District Court in Paisley, brings together members of Renfrewshire Council, Police Scotland and the Scottish Fire and Rescue Services into one centralised location, to improve information sharing and deliver best service to the local communities. Working with Renfrewshire Council and its community safety partners, Boston Networks upgraded the existing public space CCTV cameras to deliver a new high definition IP video surveillance solution across the region. In addition, Boston Networks also delivered a new dedicated and future-proofed communications network. The purpose built control room encompasses IP technologies including Video Management Software (VMS) and a Physical Security Information Management system (PSIM). The solution has the added advantage of consolidating critical security systems into one interface, providing operators with excellent situational awareness to protect public spaces. In addition, Boston Networks equipped two vehicles with surveillance technologies to provide the partnership with flexible and robust units, which can be quickly deployed to capture and monitor arising situations, with the capacity to transmit real-time video directly to the control room. The Community Safety Hub was officially opened at a ceremony attended by council leaders and key partnership and project partners, who were able to see first-hand the benefits the new surveillance solution and integrated control room will offer the local community.